After these British lads took the airwaves by storm with their smashing hit “Me and My Broken Heart,” they announced a new single among other exciting news. Not only will these lads open up for Ariana Grande’s Honeymoon Tour this year, but they announced their new single! 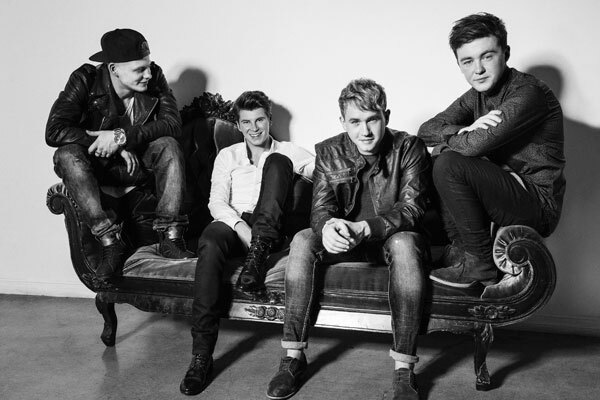 Rixton’s next single from their debut album, Let the Road, will be “Hotel Ceiling.” This track is one of my personal favorites from the album because it holds a lot of raw emotion and was co-written by Ed Sheeran (and who isn’t a fan of him!). It is the third track on their highly anticipated album, which will be released on March 3rd, 2015. “Hotel Ceiling” is such a beautiful song that expresses love and hurt. In the music video, it conveys that message except with a haunting twist. Love sometimes makes you do crazy things, but how crazy does it get? Check out the music video to find out for yourself. Next ArticleTV Review: Agent Carter 1x03 - "Time and Tide"